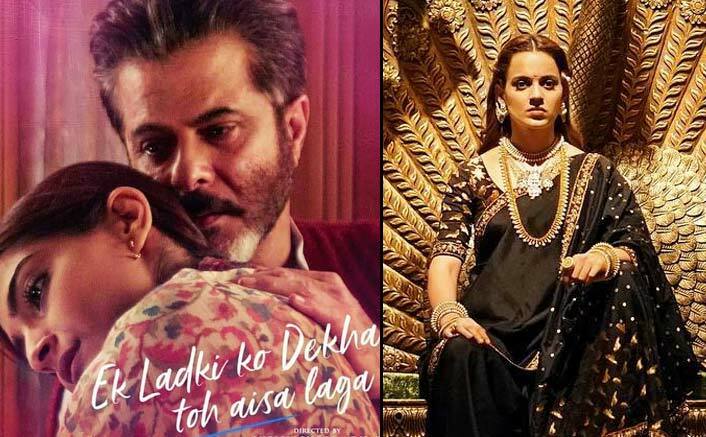 Home » Box Office » Box Office Updates: Manikarnika Is Stable, Ek Ladki Ko Dekha Toh Aisa Laga Drops! Sonam Kapoor's last week release Ek Ladki Ko Dekha Toh Aisa Laga has been slowing down and Monday's numbers are a proof of it. Box Office Updates: Kangana Ranaut’s Manikarnika: The Queen Of Jhansi is continuing its stable run. Sonam Kapoor’s last week release Ek Ladki Ko Dekha Toh Aisa Laga has been slowing down and Monday’s numbers are a proof of it. Ek Ladki Ko Dekha Toh Aisa Laga dropped on Monday. As mentioned earlier in this column, the film needed at least 2 crores on each of the weekdays to stand some sort of a chance. However the film brought in 1.90 crores and though this is still around the same lines, it is still low which means going would be tough from here on. The film has collected 15.43 crore so far and at best would have the first week of around 20 crores. Manikarnika – The Queen of Jhansi is stable as well as it brought in 2.25 crores more on its second Monday. This is decent enough and now the total has reached 78.90 crorese. While 90 crore lifetime is a given for the film, an open week ahead gives it a chance to a go a little higher too. Uri: The Surgical Strike Box Office Day 25: Inching Closer To The 200 Crore Mark! Ajay Devgn VS Sidharth Malhotra: De De Pyaar De Or Jabariya Jodi? A Comical War At The Box Office! Badla Box Office: In Its 7th Week, It Still Manages To Attract The Audience!